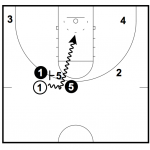 In a previous article I gave an overview of the correct way to use a pick and roll; but now I want to get position specific. Let’s talk about the different options that the guard has when using a screen. The guard has four different options. For this reason, the guard must be a very good decision maker in order to read the defense and decide the play that will give the team the best opportunity to score. The one thing I stress to my players is that the guard must come off the screen with an attacking mindset. 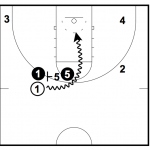 I want my guards first intention to be penetrating the defense and looking to score. This mindset will force the opponents to respect the ball-handler and sag off their opponents creating passing lanes. 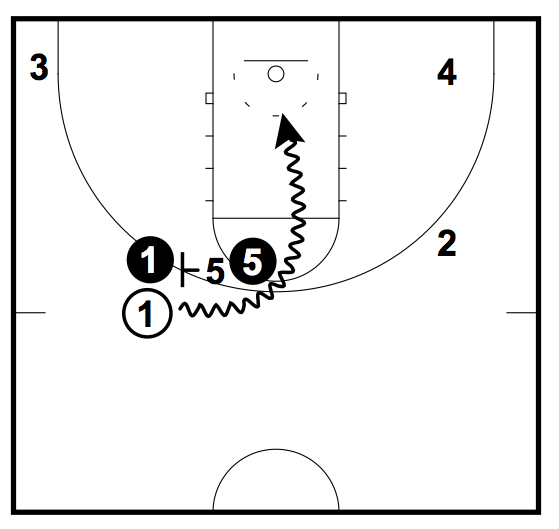 Here are the four attacking options that the ball-handler has when coming off a screen. 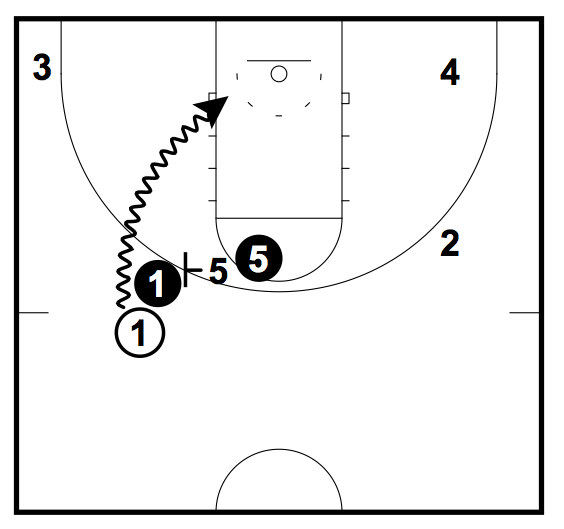 Use this option when the screeners defender hedges out too high leaving a gap between himself and the screener. If you see any gap at all, keep the ball low split the defense. 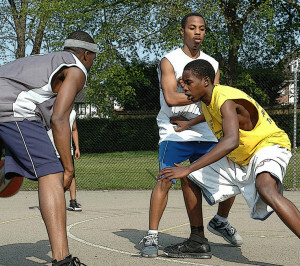 The guards defender will be screened off so they shouldn’t be a threat to steal the ball. The guard only needs to beat the big man’s defender. Guards should attack the hip when there is no space between the screener and their defender to split the gap. 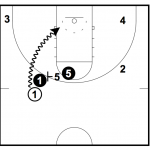 In this case, the guard needs to attack the defenders outside hip so that they’re taking the shortest route to the hoop and their defender will be behind them the whole time. If the big man’s defender slides with the guard and blocks off attacking around the hip, two mis-matches will have been created. When this happens the first thing you need to do is look to see if the big man has rolled or dived and got open. 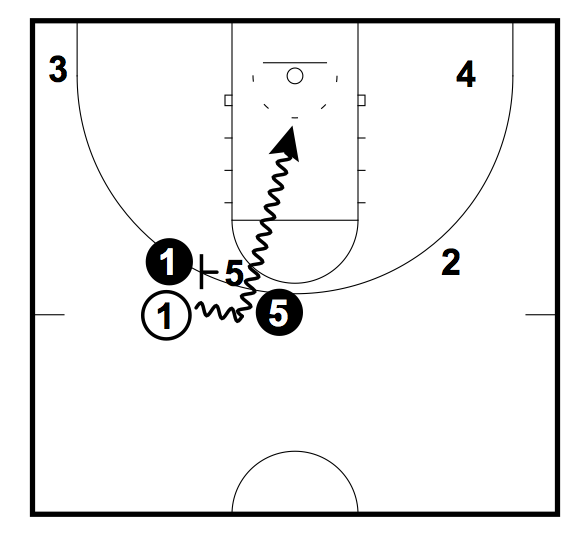 If not, the guard should back the ball out while keeping the dribble alive. The big man will be forced to stay and play defense on the smaller, quicker guard. If they don’t and they try to switch, there will be a moment when the guard will be open for the shot. The other alternative is to use the other mis-match. If you’ve backed the ball out and they didn’t switch and the pass wasn’t on, then the offensive big man should have taken your small defender straight into the post. Look to feed the ball in and let him go to work.Once the guard has backed out, go one-on-one with the big defender. Guards should have the skills to be able to get to the ring or create an open jump shot. Once the guard has used the screen, it’s time to decide whether to pass or shoot. Did weak side defense slide across to help out? If not, drive it. Did you create space for an open jump shot? Shoot it. 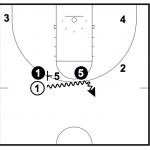 Did the defense sag in to stop your guard from getting an easy layup? Pass it to the open man. There are an unlimited amount of different situations that can occur. There’s no point setting different rules that your guards must obey. The game is too quick for that. It comes down to the guards instincts. The more times the guard is put into the pick and roll situation, the faster they’re going to learn how to read the defense. I highly recommend if you’re going to add the pick and roll to your game that you include different drills in your practice that will let both the guards and bigs develop the instincts to read the play quickly.